ecause they pull fuel direct from the main terminals. Why choose a local supplier like Ingoe Oils? The difference between Ingoe Oils and any of the generic, large Oil companies is the exceptional service you will receive from this family owned business. Each customers needs are individual and Ingoe Oils service is just as individual. Ingoe Oils prides itself on keeping customers stocked all year round. This is done in a variety of ways. Ingoe Oils has tankers of various sizes to ensure that our domestic, agricultural and large industrial customers can get the fuel they require in a quantity they require. This includes 205 litre drums, and tanker deliveries from 500 litres up to 36,000 litres or more. This means your business can get the right fuel at the right time without having to compensate on volume and service. Ingoe Oils recruits drivers with personality, you know you will be greeted by a friendly driver with a wealth of knowledge and experience. Ingoe Oils pull its fuel from the main terminals meaning you will receive the best possible price. Ingoe Oils understands that call centres can be frustrating and time consuming. 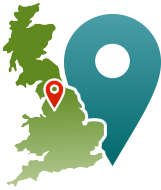 When you call Ingoe Oils you speak to a real person from the North West who has developed a keen interest and understanding about the Oil industry. This means they understand your business the way you do. Ingoe Oils has a large customer base of loyal companies this is because ever customer is known by name and is always looked after by their very own account manager. If you’re looking for a reliable fuel supplier in the North West, call Ingoe Oils, a local family business with an unmatched reputation for high quality and customer service. Call us today on 0800 917 7493.